The contract includes 10 aircraft to add to the current inventory of P-8As in the U.S. Navy fleet, all five jets currently under contract for Norway and the four aircraft remaining for the existing United Kingdom contract, bringing the total United Kingdom acquisition to nine aircraft. The United Kingdom will receive their first aircraft in 2019 and Norway will begin receiving aircraft in 2021. 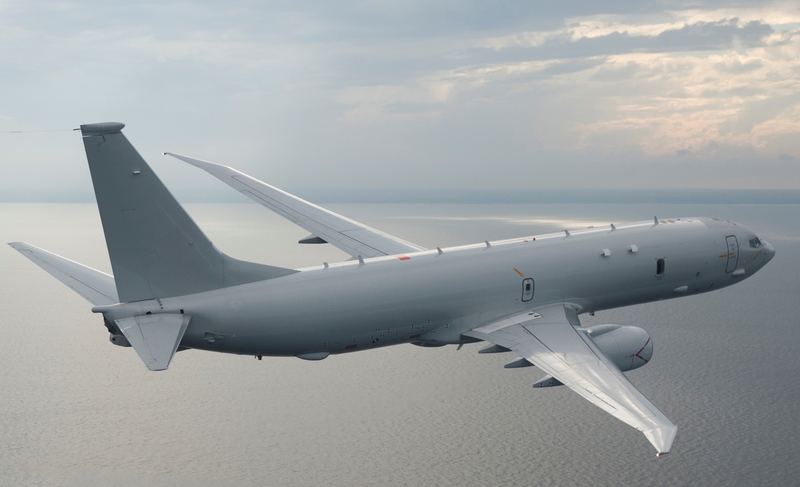 The P-8 is militarized with maritime weapons and a modern open mission system architecture. The aircraft has been modified to include a bomb bay and pylons for weapons – two weapons stations on each wing – and can carry 129 sonobuoys. The aircraft is also fitted with an in-flight refueling system. With more than 180,000 flight hours to date, P-8 variants, the P-8A Poseidon and the P-8I, patrol the globe performing anti-submarine and anti-surface warfare; intelligence, surveillance and reconnaissance; humanitarian; and search and rescue missions. See latest HD Video Interviews, Podcasts and other news regarding: Navy, Air Force, Boeing, Poseidon.